BATAVIA, Ohio (April 11, 2017) — The United States Drug Enforcement Agency’s National Prescription Drug Take Back Day is scheduled for 10 a.m. to 2 p.m. on Saturday, April 29. Local law enforcement agencies will be participating by hosting eight drop-off locations in Clermont County. There will also be two locations in the City of Loveland. According to the DEA, more than 366 tons of prescription drugs were collected at 5,200 drop-off sites across the country during the last take back day in 2016. For the full list of drug take back day locations, visit www.dea.gov. Residents who can’t drop off their unused prescription medications on April 29 can use one of the eight permanent drug drop boxes located in Clermont County. 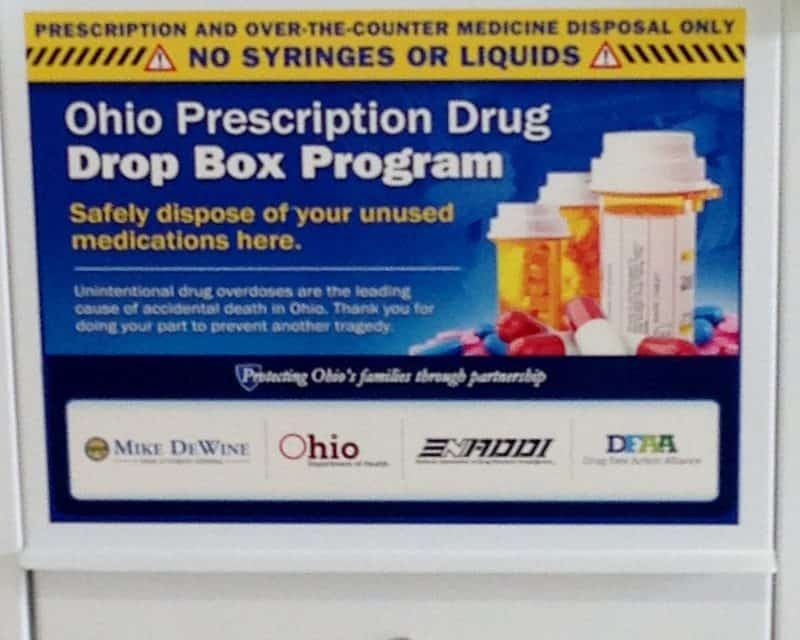 These law enforcement agencies have a permanent prescription drug drop boxes: Amelia Police Department, Bethel Police Department, Clermont County Sheriff’s Office, Goshen Township Police Department, Loveland Police Department, Miami Township Police Department, Milford Police Department, and Pierce Township Police Department. For more information contact Keith Robinson, Communications Coordinator at 513-732-7717 or ktrobinson@clermontcountyohio.gov. Clermont County Public Health is dedicated to the mission of striving to improve Clermont County by preventing disease, promoting health, and protecting the environment. For more information, visit http://www.ccphohio.org or call 513-732-7499.